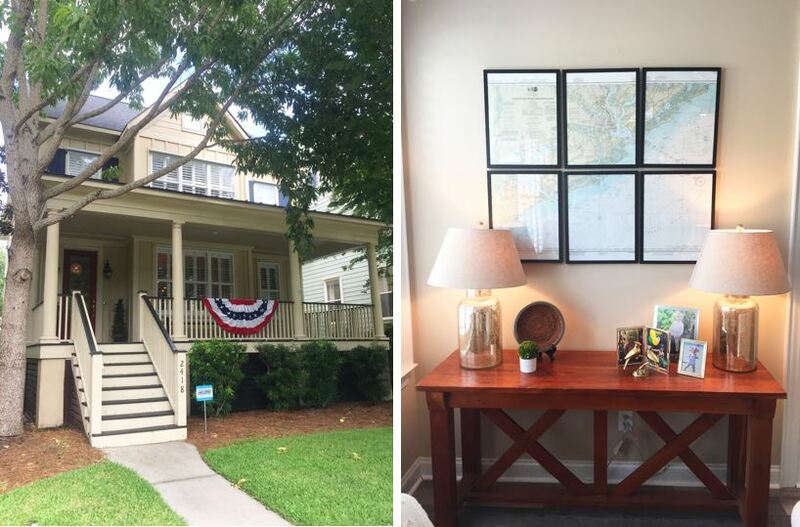 Originally from Charleston, Katie Gay wanted to find the perfect Daniel Island home for herself and her two young children, Adele (8) and Chip (7). 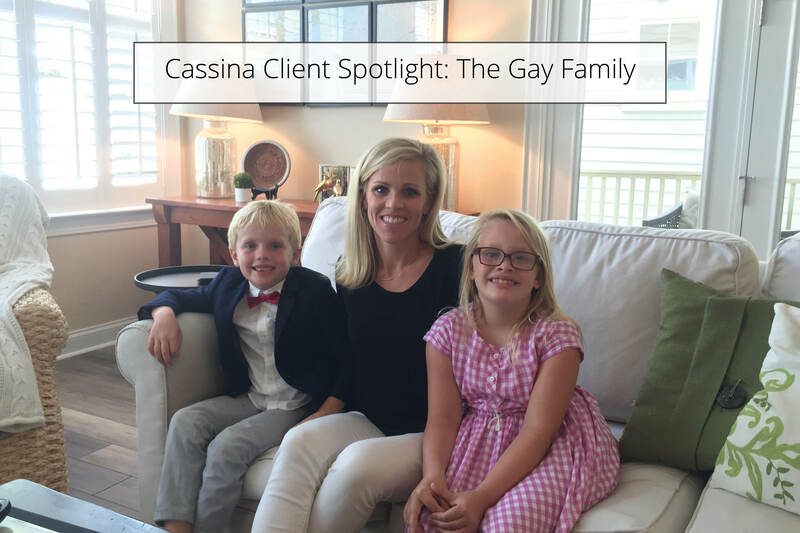 After a thorough search with Cassina Group REALTORS Jay Unger and Phil Sykes, she found the perfect home with a floor plan to accommodate her family’s lifestyle, an ideal work-from-home space and a neighborhood with lots of activities for her children. Read on to learn more about her search! I’d been looking at homes on Daniel Island for probably about 2 years because I was living off of Clements Ferry before. And I really didn’t think it was in my price point to be in this part of Daniel Island. But this home really had a great location, a great backyard, and I could see there was potential to do some upgrades to it that would make it be more of what we would have wanted in a home. What were the key selling points of this home? I really liked the layout upstairs. It’s just the three of us so it really was a good configuration for us. I work from home and it has a separate FROG so it was really nice to know that I could use that for my office and get out of the house and feel like I was going into work. I also really liked how you walked in it felt like a real entryway, separate from the living space. How was your experience working with Jay and Phil? It was great. 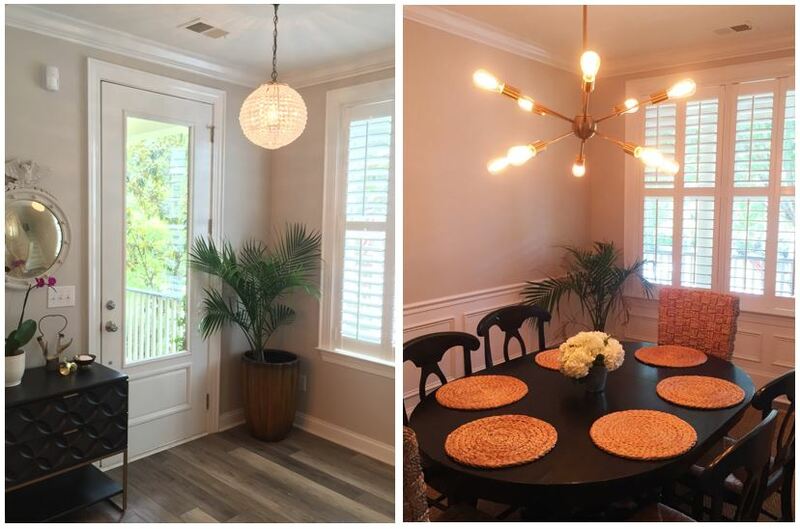 [This house] had been on the market for a year. We put in a really low offer at first, and I was willing to walk away from it. I really felt like Jay and Phil could read what the seller was willing to do though, so we went back and forth quite a bit. In the end, I felt it was really the best price for me and for the seller. We really did meet at the best place both of us were willing to go. Did you renovate or take on any home improvement projects after moving in? I love to build things and do a lot of DIY stuff. There are a lot of things I’d like to do to the house but I’m starting with the stuff I can manage myself. I re-did all of the floors on the first floor. I’ll probably paint the cabinets pretty soon and get new countertops. I’d love to one day enclose the porch and open up that space but that’s going to be a little while. I’d also love for the house to be white. I think that would brighten it up a bit. What is your favorite spot in your new home? Chip: The porch because I like to build forts there! Katie: My favorite space that we like to spend time in is the living room. It feels comfortable and I feel like this room is put together how I want to decorate. I also like the entryway because it has the lighting and is also finished. Adele: Ride my bike around the block. Chip: One time we rode our bike to the grocery store! Katie: There are three pools on the island so we ride bikes to all three of them. It’s so great. And there are tons of playgrounds so I think we’ve ridden our bikes to all of them. And that was one of the big attractions to Daniel Island. There are endless trails you can run here! Adele: My second favorite thing is fishing at the pond.